The 38th Minneapolis St. Paul International Film Festival starts April 4 and runs through April 20, 2019, showcasing more than 250 films of various forms from 70 countries. The festival is organized annually by the Film Society of Minneapolis St. Paul and screenings area held at 10 theaters around the Twin Cities. 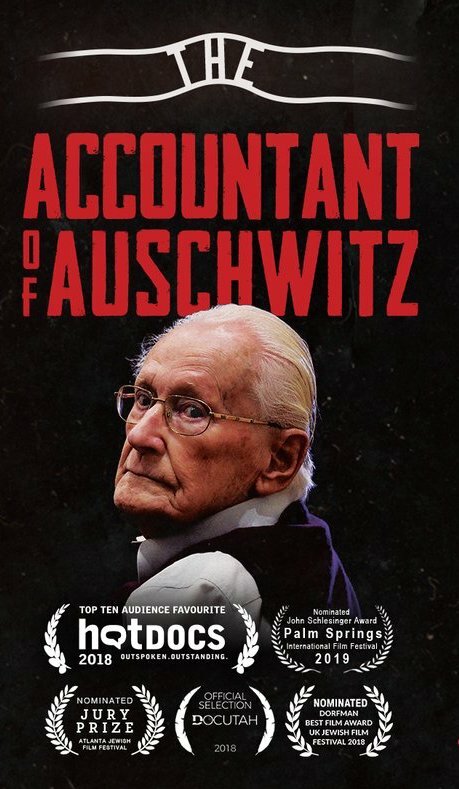 Canadian director Shoychet sets up an informative background leading to the trial and sentencing of German SS Officer Oskar Gröning, the man who tallied all the properties confiscated from the prisoners as they entered the Auschwitz death camp. In this documentary, Holocaust survivors recall their experiences, seeking justice and closure. Shoychet also chronicles the elusive task of bringing those responsible to account for the atrocity. Only 49 Third Reich officials out of 6,500 had been brought to trial. Many got away with just three years in prison during the post-war period. Now, time is running out for the victims. Major obstacles for the prosecution: the elderly age of those accused, their continued evasion and proof of complicity. Shoychet’s feature is a poignant reminder that a tragic chapter in human history still remains unresolved. The 230-minute feature is an incisive depiction of the human desolation in an unnamed, northern Chinese city. Director Hu Bo’s cinematic capture of the inner void of his characters is intense and nuanced. Eliot’s “The Waste Land” is alluded to, that piece of cracked soil deep in the human soul. Hu’s tracking shots place viewers in the midst of relational conflicts, from bored high school students to aimless adults to the despondent elderly. Random strangers somehow connected casually in Hu’s astute screenplay. And the elephant among their midst remains invisible, sitting as a metaphor for the resignation of life as well as a fantasy of hope. This debut feature sadly speaks as a last testament of a lost talent: Hu took his own life during post-production of the film. He was 29. Inspired by true events in 19th century Vietnam, 14 year-old May is married into a rich landowner family. She is the third wife of the patriarch’s son. Her sole purpose is to produce a male descendent for him, as the first two wives have only daughters. A film with minimal dialogues, “The Third Wife” is a visual story. Its aesthetics and sensual, dream-like sequences wrap a harsh reality: the plight of women in a patriarchal society. Mayfair was born and raised in Vietnam, an Oxford and NYU Tisch School of the Arts graduate. This her debut feature is a quiet and potent voice in the #MeToo awakening. For the full program of the 38th MSPIFF, CLICK HERE to their website.